at Warwick General Hospital, aged 77. Brother of Eric, uncle of Emma and Fenella. Enquiries to Ambler Brothers Funeral Directors, 34 Rother Street, Stratford upon Avon, Warwickshire CV37 6LP. It is with great sadness that we announce the death of Dr Duncan Greenwood. 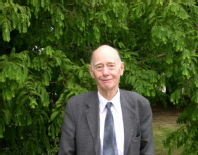 Dr Duncan Greenwood enjoyed a long and distinguished research career. and was appointed Head of the Soil Science Section in 1966.
becoming an Emeritus Fellow with HRI and Associate Fellow with the University of Warwick from 2004. 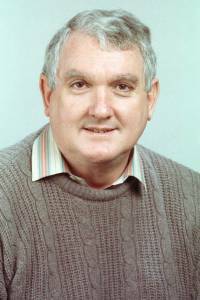 Dr Duncan Greenwood was a research scientist of great distinction and determination. He had extensive and uniquely-relevant experience in the area of plant nutrition and soil science. the development of computer simulation models for interpreting the field response of plants to nutrients and water. He had the insight to see how such models could influence the practical use of fertilisers in agriculture and horticulture. and his research contributed to reducing nutrient pollution in rivers and seas. not just to vegetable crops but also to agricultural crops worldwide. and the handling an interpretation of data have accrued under his guidance. could visualise three decades ago. such as WELL_N which have allowed growers to use nitrogen more efficiently with minimal loss from the land. to the dissemination of the results of his research at all levels. while at the same time minimising pollution of the environment. Dr Greenwood was a great ambassador for soil science and its importance as a discipline in practical soil and crop management. He was always in great demand as an outstanding lecturer, and delivered many distinguished lectures. In spite of this Dr Greenwood was always happy to share his extensive experience with younger researchers and encourage them in their careers. His personal achievements are great and thanks to his generosity of spirit and dedication he has helped further the advancements of the industry in which he worked for so many years. Senior Lecturer at the Institute of Biological, Environmental and Rural Sciences in Aberystwyth. Dr Smith died on Friday 11 December aged 56.
which she received with distinction in 1977.
in Aberystwyth with Professor M.A. Hall. and in 1994 to a Senior Lectureship. "It is with great sadness that we record the death on the 14th November 2008 of Canal Society stalwart Guy Johnson. from abandonment to reopening and beyond. all of which were named 'Guppy'. at a recent Christmas meeting when he used his paintings as the basis for a waterways quiz. "Both Pat and Guy joined our Society at an inaugural meeting held in Hockley Heath towards the end of 1956.
membership Secretary in 1965 and secretary in 1967 a post he held for ten years. our chairman for eleven years until 1994, he then remained on the committee for a further five years. (in the early years meetings were weekly) he made time for other projects to promote the canal. further editions up to a total of five were then produced which were professionally printed and bound. were used to support our canal work parties and canal projects. Not content with producing the guides both he and Pat marketed them often making personal deliveries. and raised money for work on the canal. and we were trying to demonstrate the value of the canal to the town. recording details of their cruise, how much was spent in the town on provisions, meals out, entertainment etc. the value of boaters spending in the town today. with such a great depth of knowledge of our waterways and of the Stratford upon Avon Canal in particular. "We thank you Guy for your most magnificent contribution, and we offer our sincere condolences to you Pat in your sad loss. "It was with great sadness that we heard of Harold's death early this year. over all the years until Pam retired in 1999.
where he made major contributions to the study of weed germination. James Winter was born in 1914 and educated at Cheltenham Grammar School, Bristol University, and Pembroke College Cambridge. In 1938 he married Audrey Pearce and moved to Assam as Scientific Advisory Officer to the Indian Tea Association. In the Indian Army he saw action in the Western Desert, Persia and Italy, where he was awarded the Military Cross and twice mentioned in dispatches. After the War the Winters returned to India but following Independence life became too hazardous to raise their young fiamily. They returned to England in 1949, where Mr Winter became Head of Irrigation at the newly created National Vegetable Research Station. While at NVRS he wrote Water, Soil and the Plant in the Science in Horticulture series published in collaboration with the RHS. He visited Africa Spain and Turkey to advise on horticultural issues, and was President of the HEA during the 1960s. and advising on the feasibility of growing tea on the Tregothnan Estate. He died peacefully on 14 February 2008 after a long illness. From the obituary for "The Horticulturalist"
at the sudden death of Dr Nigel Lyons in July. "Nigel was born in 1942 in Surbiton, Surrey, and educated at Dulwich College in London. before moving to study parasitology in Zimbabwe (then Southern Rhodesia). which became the subject of his DPhil in 1986. "He set up and ran a monoclonal antibody unit, which formed part of a USDA scheme for leprosy research. flying his own plane to visit leprosy clinics in remote parts of Zimbabwe. for the Zimbabwe National Army and their Ministry of Health. on the serological detection of plant pathogens. as a Higher Scientific Officer in the Wellesbourne Plant Pathology Department in 1988.
and a range of onion bacterial pathogens. and are widely used in the horticulture industry in the UK and overseas. and to continue state-funded work on bacterial wilt in Portugal, a country for which he had a great affinity. He remained in contact with colleagues at HRI and will be sadly missed by all who knew him.